Your opinion matters. Leave A Review Or Edit This Listing for Westchester Food Pantry - Westchester Village Hall. The Westchester Food Pantry serves the communities of Bellwood (60104), Berkeley (60163), Broadview (60155), Hillside (60162), La Grange Park (60526), Westchester (60154), and Western Springs (60558). 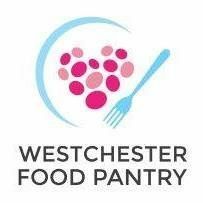 All clients requesting food from the Westchester Food Pantry must provide a current photo ID (driver's license, state ID card, etc.) that shows an address in our service area. If the address on the photo ID is not in our service area, then the client must provide proof of residence (current utility bill, a letter from landlord, etc.). Clients may come to the Pantry once each month. In the Community Room of the Westchester Village Hall. Please enter on the east side of the building off of Municipal Drive. We always need more information on our pantries. If you know of any details, volunteer information, website, hours or more description information about Westchester Food Pantry - Westchester Village Hall please add a comment (below the map on this page), with information. We will then display this for all visitors on this page.